Nathan DeCastro has been posting some killer mechs lately. The LR-S-65 Chenza (pictured below) is my favorite so far. The trans-blue windscreens give it an dashing look, and Nathan’s incorporated some infrequently used pieces in brilliant ways. 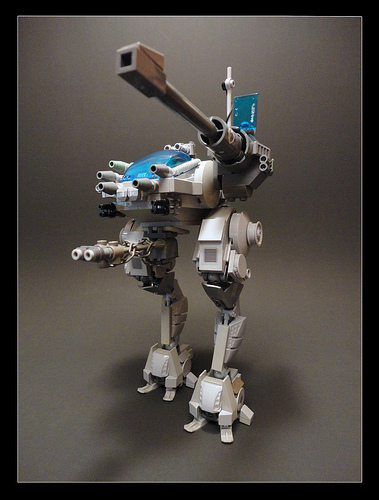 Be sure to check out his flickr stream for some other sweet mechs, too. When you say infrequently used, you must mean Megabloks, because nobody plays with them.